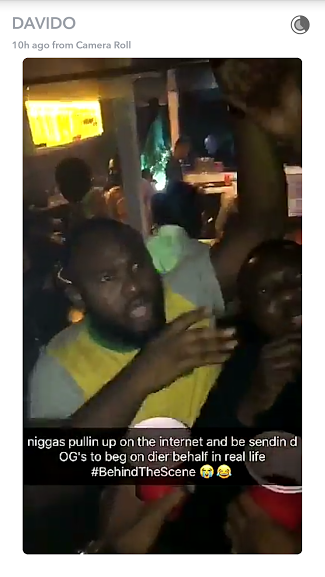 The drama between Singer Davido and Malaysia-based Nigerian big boy, Ray Hushpuppi started when Hushpuppi in a rant on his Snapchat shaded Davido and his crew while revealing he spent over 11.5m in a club. 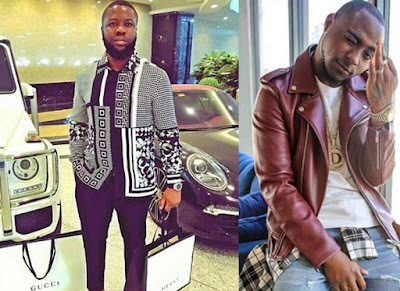 We are not sure of what really went down between them to warrant the shades, because few days ago, Davido shared a video of him with Hushpuppi spending time together on his Snapchat. 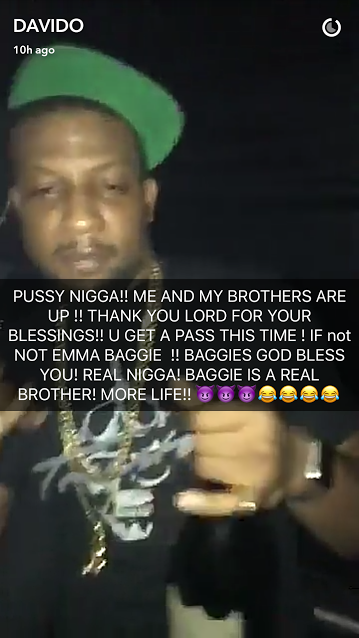 "I am speaking on behalf of my honorable self and classic baggie and self paid, if them born anybody well, or ‘UNA CREW’ make unannounced come out tonight, make we use am do champions league final in this lagos tonight!!! Bottles will be flying from the beginning. 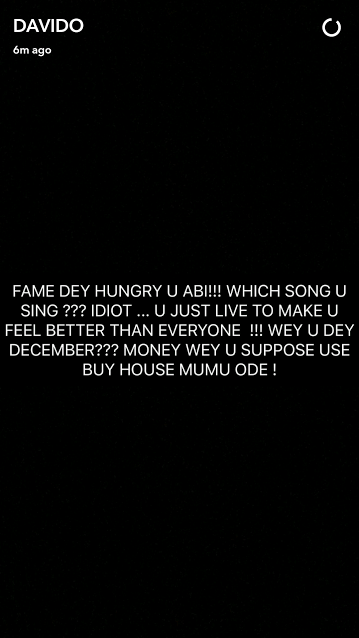 If your net worth is a hundred million and below, stay at home tonight or come as a fan or a looker. 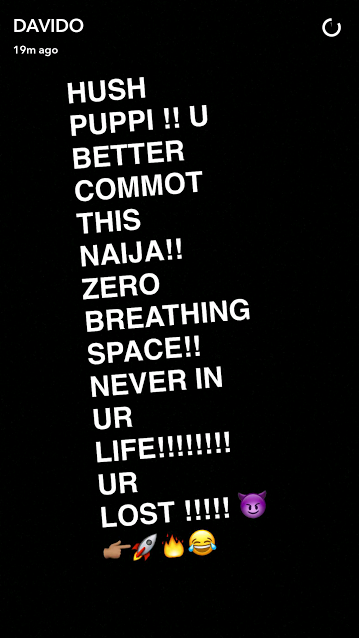 Note to Shina Peller :- No credit sale tonight, no selling to anyone based on personality or past glory. Our own bank open today and our token dey on standby and network good, no story, no ‘i dey come’, no ‘baba u no sari me ni’. ITS CHAMPIONSHIP NYT. 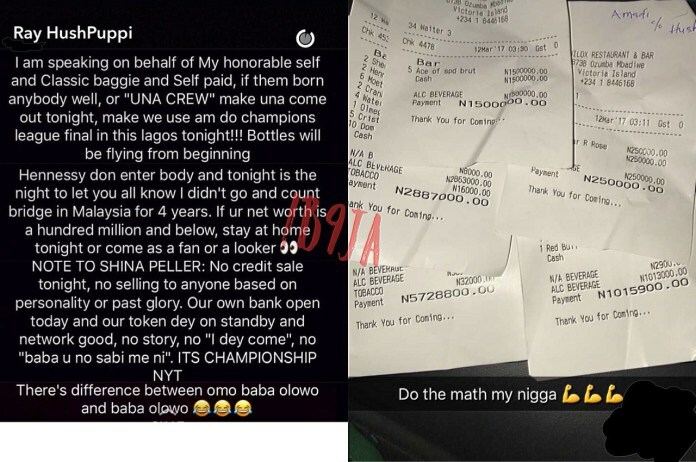 There’s difference between omg baba olowo and baba olowo…"
Even Eniola Badmus called Hushpuppi out, questioning his source of wealth and revealed he begged her for a follow back on Instagram. 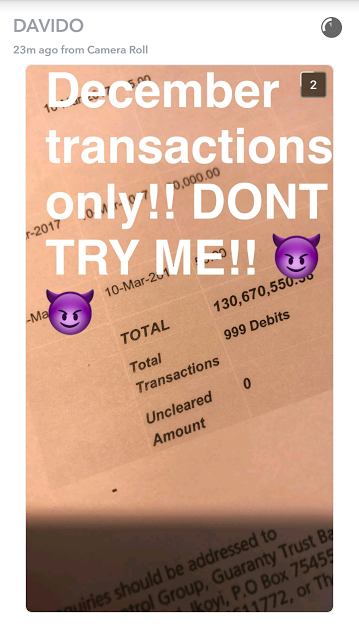 We also don't know what caused her to do so.